Diarrhea is defined as loose watery stool three or more times a day, with or without abdominal cramps and bloating. Acute diarrhea lasts for a few days and most are self limiting. Chronic diarrhea lasts for more than 4 weeks. It is either continuous or intermittent and indicative of underlying medical condition that requires further investigation. Normally, the colon can absorb several times more fluid than required. In case of a microbial invasion, the lining of the digestive system is damaged. This hampers the ability of the colon to pull excess fluids from the feces. This, in turn, causes the bowel contents to move through the digestive system too quickly, resulting in diarrhea. Diarrhea can be tackled with a number of preventive measures. It might seem to be a daunting task, but keeping a close watch on your health, hygiene, and sanitation can help you keep your diarrheal woes at bay. Keep access to safe and clean drinking water. 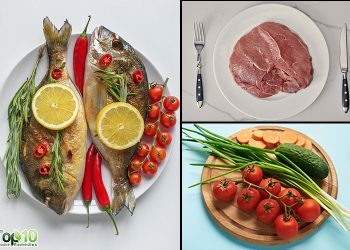 Always consume properly cooked food. Ensure you wash your fruits and vegetables thoroughly before preparing. To avoid diarrhea in children, ensure they are vaccinated for rotavirus according to the standard immunization calendar. Diarrhea needs to be monitored in newborns, elderly, and children. Chronic and perpetual diarrhea can affect your day-to-day activities and needs to be checked to avoid dehydration, which can result in water and electrolyte imbalance in the body. Dehydration walks hand in hand with a case of diarrhea. This brings a dip in the levels of water as well as essential electrolytes, namely, sodium, potassium, and calcium, in the body. Thus, it is of primordial importance to maintain electrolyte balance and keep your body hydrated. Drink plenty of fluids to replenish the fluid, salt, and mineral levels in your body. Consider taking drinks such as oral rehydration solution (ORS), sports drinks, fresh fruit juices, or coconut water. Avoid alcohol, sweetened drinks, and caffeine. Restrict your consumption of fatty foods. Stick to bland and starchy foods such as rice, bananas, and applesauce. Include low-fat cheese and yogurt to restore the natural flora in your intestines. Because diarrhea is a symptom of some underlying condition, it calls for a medical review. The doctor will ask you some questions related to your bowel movement and prescribe you some medicines to combat the infection. In severe cases, the doctor might suggest some other tests to check for other reasons behind chronic diarrhea. Mild cases of diarrhea can be dealt with, using home remedies that can help you control your bowel movements. Outlined below are some domestic remedies that can help you manage your diarrhea and speed up the normal functioning of your digestive system. Note: If you have a prolonged case of diarrhea or other associated symptoms, then it’s advisable to first consult your GP for proper diagnosis and treatment before using any home remedies. Use these home remedies only as an adjunct treatment along with proper medications or if you have only mild symptoms associated with diarrhea. Here are some home remedies for diarrhea. Fenugreek seeds are rich in mucilage content. This adds bulk to the stools, improves the severity of diarrhea, and reduces the watery nature of stools. Swallow 1 teaspoon of soaked fenugreek seeds along with 1 tablespoon of yogurt. Mix 1 tablespoon of roasted cumin seeds to 1 teaspoon of soaked fenugreek seeds in 2 tablespoons of yogurt. Eat this mix two or three times a day. Note: Not to be given to younger children suffering from acute or chronic diarrhea. 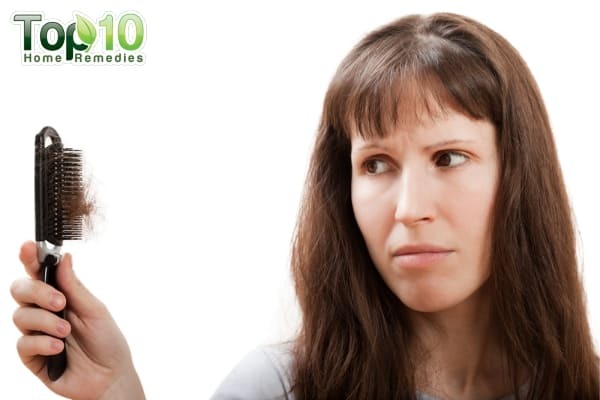 Ginger has been used to treat digestive issues since ages. You can treat vomiting, nausea, and abdominal cramps that accompany diarrhea with ginger. 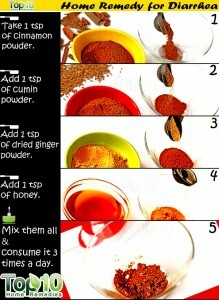 Prepare a mix of 1 teaspoon each of dried ginger powder, cumin powder, cinnamon powder, and honey. Consume this mixture three times a day. You can ease your abdominal cramps and pain by drinking ginger tea two to three times a day. 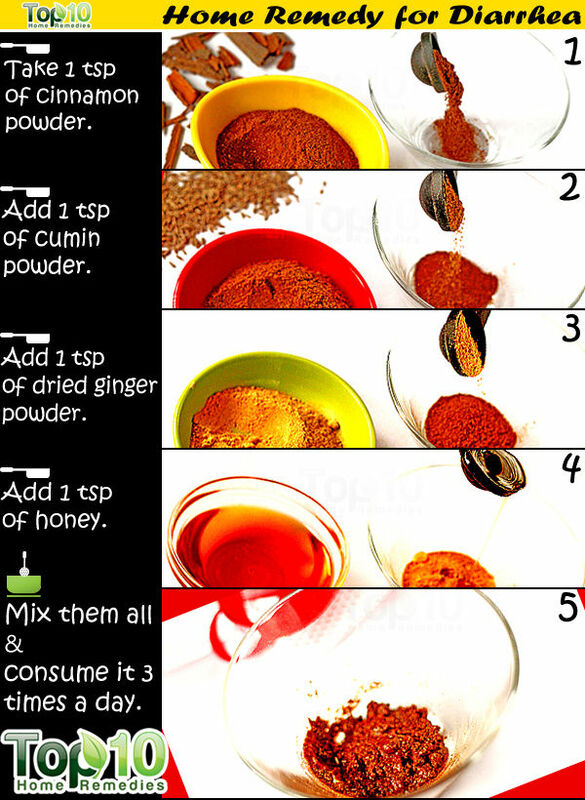 You can also take ginger in foods such as gingerbread, gingersnap cookies, or ginger ale. Note: Patients with high blood pressure and individuals on blood thinners should avoid the use of ginger. Pathogenic E. coli strains have been known to cause diarrhea. The antibacterial potential of apple cider vinegar can be exploited against E. coli to reduce the discomfort and fight the infection that has caused diarrhea. Mix 1 to 2 teaspoons of apple cider vinegar in 1 glass of water. Drink this solution two times a day until your condition improves. Bananas contain pectin, a soluble fiber, which helps in the absorption of the fluids in the intestine. This reduces the excess flow of water in your bowels. Bananas are also a good source of potassium and can help you replenish the potassium levels lost as a result of frequent defecation. Mash one ripe banana and add a pinch of nutmeg and cardamom powder to it. Mix the ingredients well. Eat this mixture twice daily to calm an upset digestive system. Include one to two ripe bananas in your breakfast to bind your stools. Probiotics contain “live cultures” that help restore the natural flora of beneficial microorganisms in the gut. 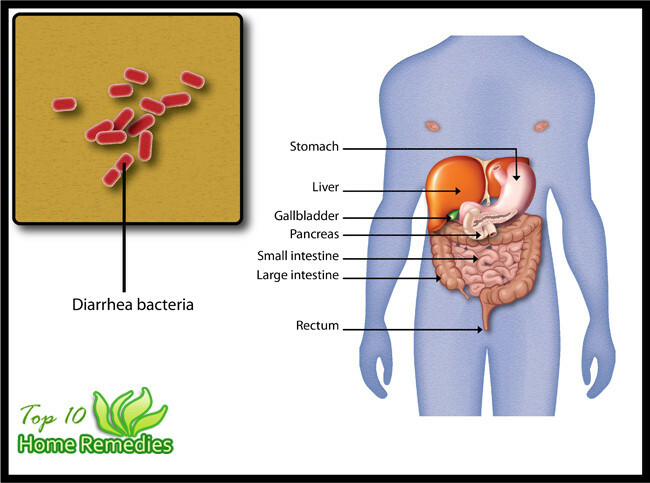 These bacteria aid in digestion and protect the inner lining of the intestines. The lactic acid produced by these bacteria aids in flushing out harmful bacteria and secreted toxins out of the body. You can consume plain yogurt or make a smoothie with it. Chamomile contains a host of tannins and is often used to treat various intestinal problems, including diarrhea. 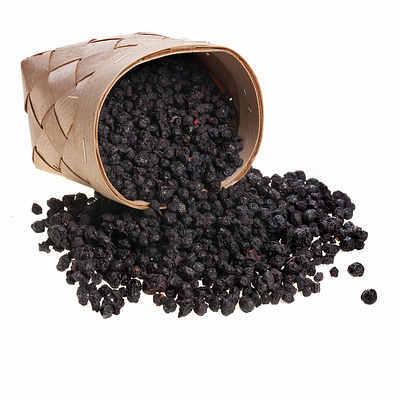 The antispasmodic and anti-inflammatory properties provide relief from abdominal cramps. To 1 cup of boiling water, add 1 teaspoon of chamomile flowers. Drink this herbal tea at least thrice a day to speed up the healing process. You can also use prepackaged chamomile tea bags. Blueberries are reported to keep a check on pathogenic microorganisms, namely, Listeria monocytogenes and Salmonella enteritidis. The antimicrobial activity of blueberry can reduce diarrhea caused by these microorganisms. Prepare a dried blueberry soup. Orange peel is reported to show considerable antibacterial activity against E. coli populations. The anti-inflammatory properties of orange peel can aid in smooth digestion. 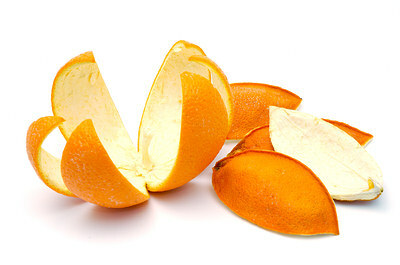 Wash an orange thoroughly by scrubbing the peel to remove any pesticides. Remove the peel. Chop it. Place the peel in a pot of water and boil it for 10-15 minutes. Strain a cup of this water and add a dash of honey to it. Diarrhea can range from mild to severe depending on its cause. 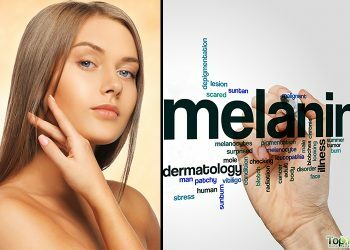 Mild cases can go away on their own or can be treated by using some domestic ingredients. The key objective in tackling a bout of diarrhea is to pump up your fluid and electrolyte intake to avoid dehydration. Additionally, focusing on a bland diet of rice, yogurt, and bananas can come to your rescue and keep a check on your bowel movement. Severe cases must be medically reviewed to analyze any underlying causes and to avoid dehydration and other complications. Prolonged diarrhea is a cause of concern and calls for immediate medical attention, especially in infants, young children, and the elderly. Hodges K, Gill R. Infectious diarrhea: Cellular and molecular mechanisms. Gut Microbes. https://www.ncbi.nlm.nih.gov/pubmed/21327112. Published January 2010. Goyal S, Gupta N, Chatterjee S. Investigating Therapeutic Potential of Trigonella foenum-graecum L. as Our Defense Mechanism against Several Human Diseases. Journal of Toxicology. https://www.hindawi.com/journals/jt/2016/1250387/. Published December 2015. Prasad S, Tyagi AK. Ginger and Its Constituents: Role in Prevention and Treatment of Gastrointestinal Cancer. Ginger and Its Constituents: Role in Prevention and Treatment of Gastrointestinal Cancer. https://www.hindawi.com/journals/grp/2015/142979/. Published February 2015. Ali BH, Blunden G, Tanira MO, Nemmar A. Some phytochemical, pharmacological and toxicological properties of ginger (Zingiber officinale Roscoe): A review of recent research. Food and Chemical Toxicology. https://www.sciencedirect.com/science/article/pii/S0278691507004243. Published February 2008. Yagnik D, Serafin V, Shah AJ. Antimicrobial activity of apple cider vinegar against Escherichia coli, Staphylococcus aureus and Candida albicans; downregulating cytokine and microbial protein expression. Sci Rep. https://www.ncbi.nlm.nih.gov/pmc/articles/PMC5788933/. Published January 2018. Emery EA, Ahmad S, Koethe JD, Skipper A, Perlmutter S, Paskin DL. Banana flakes control diarrhea in enterally fed patients. Nutr Clin Pract. https://www.ncbi.nlm.nih.gov/pubmed/9155405. Published April 1997. Pashapour N, Iou SG. 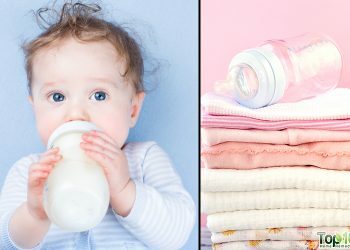 Evaluation of yogurt effect on acute diarrhea in 6-24-month-old hospitalized infants. Turk J Pediatr. https://www.ncbi.nlm.nih.gov/pubmed/16848109. Published April 2006. Srivastava, Janmejai K. “Chamomile: A Herbal Medicine of the Past with Bright Future.” Molecular Medicine Reports, PMC, 1 Nov. 2010, www.ncbi.nlm.nih.gov/pmc/articles/PMC2995283/. Shen X, Sun S, Xie Q, et al. Antimicrobial effect of blueberry (Vaccinium corymbosum L.) extracts against the growth of Listeria monocytogenes and Salmonella Enteritidis. Food Control. https://www.sciencedirect.com/science/article/pii/S095671351300323X. Published June 2013. Callaway TR, Carroll JA, Arthington JD, et al. Escherichia coli O157: H7 populations in ruminants can be reduced by orange peel product feeding. J Food Prot. has antibacterial capacity against E. coli that help to fight against diarrhea. Published November 2011. Diarrhoea & Constipation. Crohn’s & Colitis UK. https://www.crohnsandcolitis.org.uk/about-inflammatory-bowel-disease/publications/diarrhoea-constipation. Ogbonnaya KI, Arem R. Diabetic diarrhea. Pathophysiology, diagnosis, and management. Archives of Internal Medicine. https://www.ncbi.nlm.nih.gov/pubmed/2405798. Daher R, Yazbeck T, Jaoude JB. Consequences of dysthyroidism on the digestive tract and viscera. World Journal of Gastroenterology. https://www.ncbi.nlm.nih.gov/pmc/articles/PMC2699000/. Published June 21, 2009. Saha L. Irritable bowel syndrome: Pathogenesis, diagnosis, treatment, and evidence-based medicine. World Journal of Gastroenterology. https://www.ncbi.nlm.nih.gov/pmc/articles/PMC4051916/. Published June 14, 2014. I have had diarrhia for over a year, dr. can’t find out why.i’ve done all kind of test. i’m going to try your recommendies remedies. Our family cure for the runs (not caused by an infection or flu) is to take a shot glass (1 or 1.5 ounces), fill it almost to the brim with milk, add about 15 whole black peppercorns, warm it in the microwave just until a bit over body temp, and down the shooter. Never fails. The best staff for stop diarrhea, Tea from oak bark, cook tea from oak bark for 15min, and you should drink while hot, 2 to 3 cups a day,This tea stops and bloody diarrhea, and kills all bacteria and parasites in your body and stomach. trust me it will help everyone who try this. 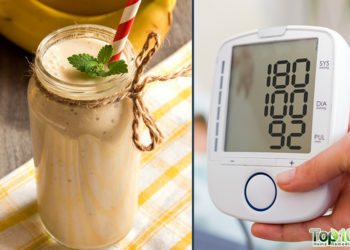 Be sure to drink the medicine that the doctor prescribed, strict diet lean and very little salt, squeeze banana with cooked rice and eat like that, cut all dairy products out of diet, until you recover. I had the runs yesterday ate a banana and now it’s gone.